How Many Surgeries Makes a Surgeon an Expert? Everyone wants (and expects) their surgery to go well. But we all understand that surgery has the potential for complications. Some complications are more difficult to control, but we know that an experienced surgeon is often less likely to have as many complications. But how do you know if you have found a surgeon with enough experience? Numerous studies have been done to evaluate factors that may influence the result of a variety of surgical procedures. Almost invariably, when it is assessed, surgeon experience is a factor that is important in determining the likelihood of successful outcomes from surgery. I don't think many people are surprised to hear that. Everyone looks for an experienced electrician, an experienced tax adviser, but how do you know you know you have found an experienced surgeon? Age certainly isn't the answer, as many younger surgeons may have better training and more experience with newer surgical procedures. 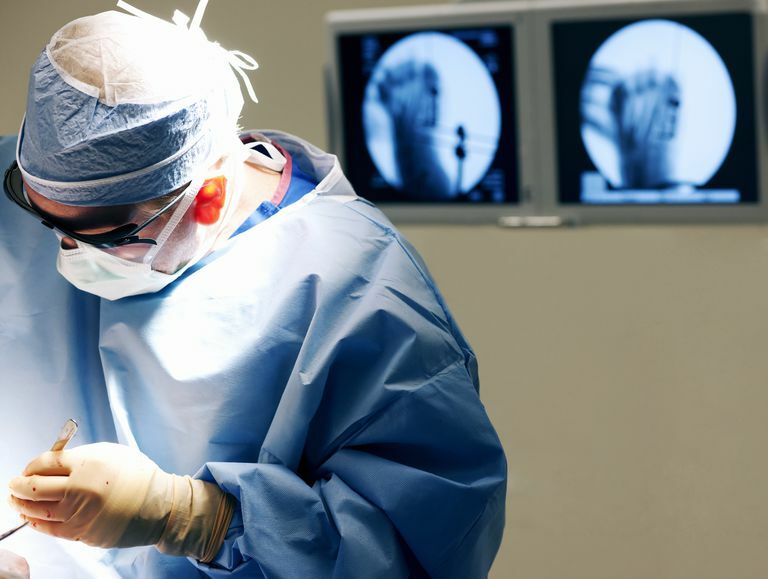 How Many Surgeries Make a Surgeon an Expert? As stated, there are numerous studies that have been performed on a variety of different types of procedures to answer this question. There is no magic number of procedures that makes a surgeon proficient, and there are many factors that influence the results of a surgical procedure. An excellent study looked at shoulder replacement procedures in Maryland over a 6-year time frame. Surgeons who performed more than 30 replacements over that time were considered "high volume" surgeons. These doctors had a lower complication rate and their patients stayed in the hospital for a shorter time than "low volume" surgeons. Another study that found 30 as the magic number was an evaluation of a hip replacement registry. In this study, researchers looked at characteristics that led to a higher rate of revision hip replacement. These investigators found surgeons who performed fewer than 30 hip replacements each year had a higher number of patients requiring revision surgery. A recent study looked at spine surgery for the treatment of scoliosis. While a specific number of surgical procedures was not evaluated, the authors did find that surgeons with more than 5 years of experience with scoliosis surgery had better outcomes. How Can You Know How Experienced Your Surgeon Is? Most surgeons are honest with the answers they give about their surgical experience. I think it is probably true that many surgeons tend to overestimate their experience, but I would doubt many surgeons are intentionally untruthful about their experience. Ask your surgeon. If you doubt the answer, ask it in a few different ways, and see if things add up. How many did you perform last month? Last year? When did you start performing this surgery? The hard part is knowing how many are enough. As described above, a high-volume shoulder replacement surgeon performed 30 shoulder replacements over a 6-year time period, whereas a high-volume hip replacement surgeon performed at least 30 hip replacements each year. For commonly performed surgical procedures (including hip and knee replacement, ACL surgery, carpal tunnel surgery, and rotator cuff repair), find a surgeon who has been doing this procedure for at least 5 years, and is doing more than 30 each year. For less commonly performed procedures (including shoulder replacement, hip arthroscopy, meniscus transplant, and PCL reconstruction), find a surgeon who has regular experience with this surgery and has performed at least 30 procedures of that type. These are certainly not hard and fast rules, as there are many factors that can influence your choice of surgeon. However, you should be aware that surgeon experience is a major factor that influences results for many types of surgery. Knowing your surgeon's experience may help you decide if you have found the right doctor. Paxton EW, et al. "A Prospective Study of 80,000 Total Joint and 5000 Anterior Cruciate Ligament Reconstruction Procedures in a Community-Based Registry in the United States" J Bone & Joint Surg. 2010; 92:117-132 . Jain N, et al. "The relationship between surgeon and hospital volume and outcomes for shoulder arthroplasty" J Bone Joint Surg Am. 2004 Mar;86-A(3):496-505. Stanton T. "Experience is a factor in scoliosis surgery outcomes" AAOSNow, Vol 5 No 12. December 2011.